What do you get for someone who appears to have everything? There are several helpful guides out there, online and in magazines, that profess to know how to surprise even the most difficult person to shop for. But none of those lists can help you give what every lobbyist in Olympia wants this time of year. Have you got it yet? Okay – the best gift for any lobbyist this time of year is a bad land use bill that is dead. I know, it sounds simple, but truthfully, it is. One doesn’t often get the opportunity to celebrate the true end of something. Most “ending” celebrations are really life-changing moments. They are milestones which take time and often are hard earned. Even though we celebrate them, they may be bittersweet or even sometimes sorrowful. Graduations, weddings, retirements, some birthdays, and even celebrations of life can be included here. All are celebratory, some for significant anticipation of what’s to come. But they also include at least a little, and sometimes a significant amount, of grieving for a few, if not all, of the participants for what is lost by moving on. Not so with a bad land use bill that is dead. This is the moment for raw, unbridled joy! A bad land use bill that is dead will provide hours and hours of laughter, satisfaction, and happiness for any lobbyist. You really can’t go wrong by giving the gift of a bad land use bill that is dead. 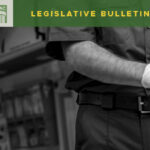 HB 1544 – Growth Management Act (GMA) Actions Effective Date. This proposal would have changed the effective date of certain GMA-related legislative actions, like the expansion of a UGA, designation of a fully-contained community or master-planned resort, or the expansion of a LAMIRD, if an appeal of the action is filed. Now, the effective date of such actions is determined by the legislative body. But if this had passed, it would have been delayed if an appeal was filed until a final order was issued by the Growth Management Hearings Board. This bill was seeking to completely upend current law which provides deference to local governments by assuming that all GMA-related decisions are compliant upon adoption until proven otherwise. Current status – DEAD. 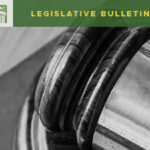 HB 1781 – Land Use Petition Act. This bill sought to completely change the current Land Use Petition Act (LUPA) standards of strict interpretation and adherence to the 21-day appeal period for project decisions. Early versions extended that period and instructed the court to liberally interpret the extended period in favor of promoting justice and facilitating decisions of cases on the merits. The 21-day LUPA standard for appeals is a long-held basis for determining final vesting for projects and while we all share the goal of deciding cases based on merit, this proposal would have eliminated certainty and predictability for project proponents and increased liability for local permit offices. Current status – DEAD. 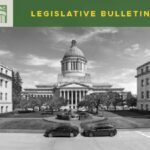 SB 5372 – Local Project Review. Another bad proposal from our standpoint, this bill would have changed the current 28-day review period afforded local permitting offices for deciding whether or not a project application is complete, to 5 days or 10 days, depending on how the application was submitted. Put forward by the building industry as “good for affordable housing,” this was really just an attempt to use the housing crisis as a way to force shortened permitting timelines. The proposal was not limited to simple single-family residential permits but would have applied to all types of projects, regardless of size and complexity. Current status – DEAD. SB 5440 – Housing Element. Adding to the parade of bad land use bills this year, SB 5540 would have required several new components to every GMA-planning city’s and county’s comprehensive plan housing element. The new components were complex and likely would have required significant investments for most cities and counties in outside assistance in order to meet the mandates. 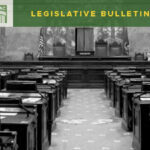 No funding for local governments to accomplish the work necessary to make the required updates to their respective housing elements was provided as part of the proposal. Of course, without funding it can only be considered as just another unfunded mandate. Current status – DEAD. SB 5769 – Minimum Urban Density. Requiring a minimum of six units per acre in cities and UGAs, this bill was heavily opposed by local governments. It was a clear attack upon local control by infringing upon the authority vested in local legislative bodies for making land use decisions like zoning density. The bill was put forward as a simple solution to providing more land at greater densities by implementing a statewide standard for minimum urban density. For counties, though, such action to comply with this bill may significantly impact the overall zoning scheme of the unincorporated lands and require extensive work to assure the county remain in compliance with the GMA. Funding was proposed as part of the bill in the form of yet another recording fee. Predictably, the funding was strongly opposed by several groups in testimony and was unlikely to be approved. Without the funding in place and guaranteed, this bill would have been a massive unfunded mandate for all GMA counties and cities. Current status – DEAD. Each of these bills comes with a guaranteed dead and won’t return this session (hopefully) label. As bad land use bills that are dead, each is also guaranteed to make that special lobbyist on your list the happiest person in the office. Each will light up the day and maybe even bring a few tears of joy. Let’s all celebrate these bills together and join in the pleasure of seeing, once again, some bad land use proposals make their way to the trash heap where they belong. The only unfortunate part is that, while this moment may be fun, a bit of a relief, affirming, and even a little exhilarating, it is also fleeting. For if history is to be our guide, these bills and more like them, are sure to return next session.